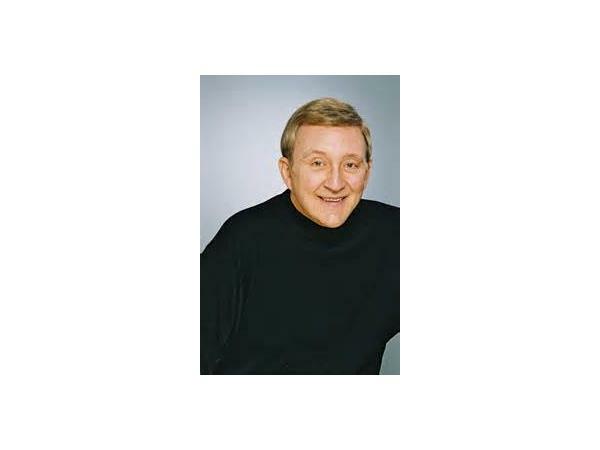 Tom T. Moore is an award-winning author, speaker, and entertainment industry CEO, who distributes motion pictures and TV programs internationally. He brings a keen knowledge of how requesting Benevolent Outcomes can be used in both business affairs and one’s personal life. He says that requesting Benevolent Outcomes for over fourteen years has resulted in leading a gentler, less stressful, and less fearful life—The Gentle Way! A native of Dallas, Texas, he is a graduate of Texas Christian University in Fort Worth, Texas and served in the U.S. Army as a 1st Lieutenant. He is married, and has two children. Mr. Moore was voted Best Self-Help Author in 2014. His books include, The Gentle Way: A Self-Help Guide For Those Who Believe in Angels, The Gentle Way II: The Story Continues, The Gentle Way III: Master your life, First Contact: Conversations With An ET, and Atlantis and Lemuria: The Lost Continents Revealed! (ISBN #s 978-1-891824-60-0, 978-1-891824-80-7, 978-1-891824-80-7, 978-1-622330-05-8, 978-1-622330-37-9--Light Technology) Visit his website at www.TheGentleWayBook.com. 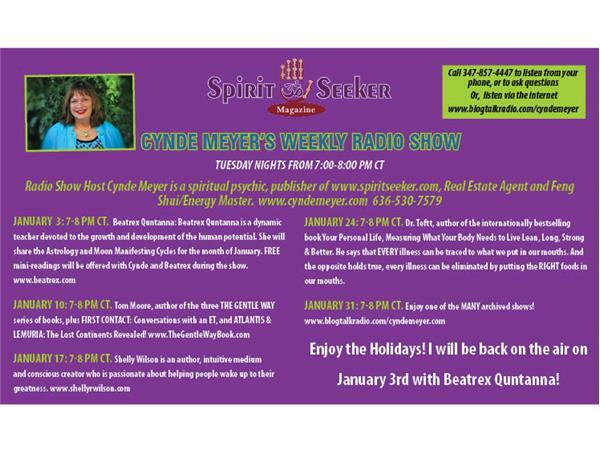 Cynde Meyer is the founder and publisher of Spirit Seeker Magazine, a 20 year monthly resource for the Mind, Body and Spirit. Cynde has interviewed some of the top authors in the area of Mind, Body & Spirit, including Wayne Dyer, Esther Hicks, don Miguel Ruiz, Marianne Williamson, Dr. & Master Zhi Gang Sha, Doreen Virtue, John Edward, and James Van Praagh. Cynde works as a certified Life Coach, Real Estate agent, Feng Shui Consultant and is one of the top ten psychics in St Louis, MO.